So what does it mean to have a good Walk Score®? Home buyers in downtown Chicago often want to be within a close proximity to restaurants, nightlife, entertainment, public transportation, and anything else that makes Chicago a great city to live. With Walk Score®, home buyers can easily find a desirable, walkable place to live. By scoring downtown Chicago condo buildings between 0 and 100, determining which building has plenty of nearby lifestyle amenities is now easier than ever. The best Walk Score® a building can receive is a 100. In fact, a score between 90 and 100 is considered to be a “Walker’s Paradise.” So what Walk Score do 701 W Jackson lofts have in Chicago IL? The most recent score for this amazing loft condo building is set at 91. The building’s location is situated nicely between Chicago’s West Loop neighborhood and the Chicago Loop. 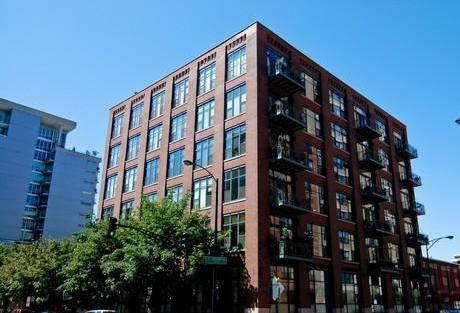 So for buyers working in the city’s main business district, The Loop, who also want to enjoy all the vibrant West Loop neighborhood has to offer, a loft for sale at 701 West Jackson may be for you. Along with all the great restaurants situated around 701 West Jackson and the nearby Greektown community, plenty public transportation is also within walking distance to 701 West Jackson, not to mention Chicago’s Union Station. If you’d like more information on the lofts for sale at 701 West Jackson or other West Loop real estate, contact Ted Guarnero today at (312) 566-8141. There are plenty of great loft buildings located in downtown Chicago. So what makes the 701 W Jackson lofts so special? For starters, the location of the lofts at 701 West Jackson is virtually second-to-none. Situated between Union Station and Greek Town, 701 West Jackson offers a close proximity to the heart of Chicago’s Loop as well as the vibrant, up-and-coming atmosphere of Chicago’s West Loop neighborhood. 701 W Jackson lofts offer high 14-foot ceilings, massive windows letting in lots of natural sunlight, exposed brick walls, timber ceilings, and many other desirable features that make loft residences truly special. 701 West Jackson was converted to residential lofts back in 1999 and now houses 46 downtown Chicago timber lofts. For more information on the timber lofts for sale at 701 West Jackson or any other downtown Chicago lofts, contact Ted Guarnero, downtown Chicago loft expert, at (312) 566-8141 today!